A Sweet Dish Called Revenge! Developed and published by WayForward Games, Shantae: Risky's Revenge: Director's Cut is a remake / remaster of the second Shantae title originally released on the Nintendo DSiWare Service. The game has been visually improved and has many new features as well, but is this enough to keep the game fresh and has the game aged well in-terms of its mechanics? Continue reading our review to find out! 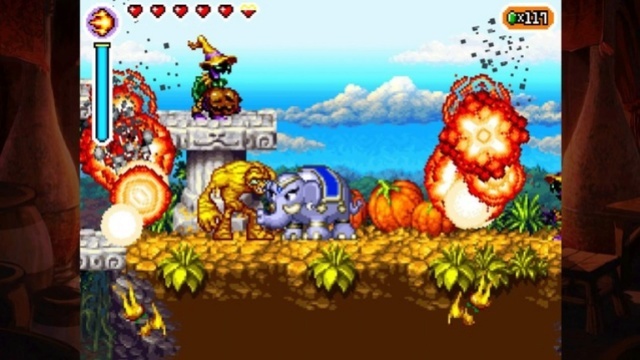 Shantae: Risky's Revenge: Director's Cut is a Metroidvania-style adventure title that is extremely unique in the fact that the protagonist can transform into various animals to progress through the game's fairly sizeable world. The game itself is over 10 hours in length for first-time players and there are also a ton of secrets to be found so completing the game can take more than twice that amount of time! Other unique features of the game include the ability to use panels to shift between the background and foreground, similarly to the Mutant Mudds games. The game can be difficult at times with some mind-bending puzzles, but for the most part its difficulty level is fair. The controls are great "especially the Wii U Pro controls", but the Wii U Gamepad works nice too. The Off-TV-Play feature is great for those who can't use their TV when playing the game! Visually the game looks great! 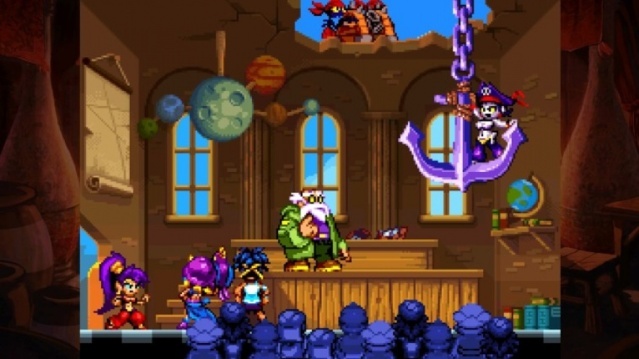 The multiple layered backgrounds, gorgeous and unique characters, and beautiful locations all add to the overall experience of the game and the soundtrack is amongst the best we've heard from the Shantae series! 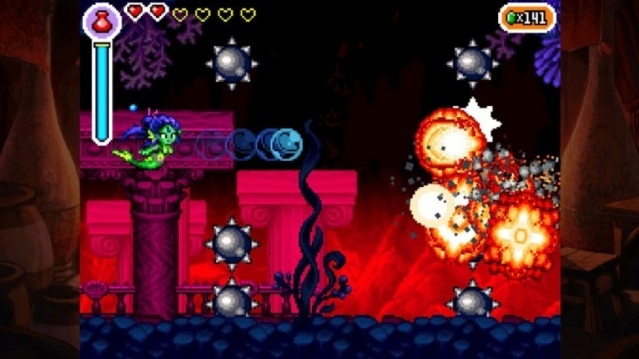 With fantastic and unique Metroidvania-style gameplay, great controls that are very intuitive and easy to learn, as well as an extremely amazing audio-visual presentation, Shantae: Risky's Revenge: Director's Cut is a great game that no Wii U owner should pass up! We give the game a great level of recommendation! At last, we Aussies and Kiwis are able to experience the second game in the Shantae series! @GeekyGamerZack I'm certain that I read that the game released recently on the PS4 in that region months before the Wii U and 3DS ports were released. @Kain I did not know that... Then again, I've only owned my PS4 for about a month.